The ANC confirmed notes from its national working committee were ‘erroneously’ sent to its media list. Change of leadership and attendant issues. That’s the first item in a long list of “discussion” points for the ANC national working committee that sat on Tuesday night. The list was emailed from the ANC to its media mailing list and details, among other things, rebuilding trust in society, apologising for a display of unity and condemning the actions of alliance partners the SA Communist Party (SACP) and the Congress of SA Trade Unions (Cosatu). Both Cosatu and the SACP have called for Zuma to resign. Shortly after the list – which reads more as a set of orders to be complied with than actual discussion points – an email from ANC spokesperson Zizi Kodwa dropped. “The African National Congress has noted erroneous communication send to the ANC Media List from ANC Communications,” said Kodwa. 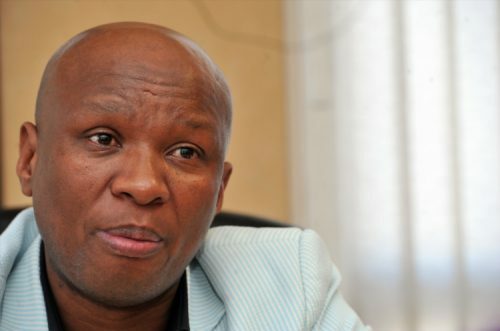 “This communication was sent out in error, is not an official statement of the ANC neither does it represent the views of the ANC,” Kodwa said, adding it should not be used for purposes of reporting. However, it was widely circulated already on social media and as it concerns the president’s future, political stability and the pending financial backlash in terms of ratings agency possible downgrades, it is in the public interest. “Markets should not dictate to the movement,” and pending pronouncements by Fitch and Moody’s also feature on the list. The list has seemingly ominous overtones for former finance minister Pravin Gordhan’s tenure as a loyal ANC cadre, as he features several times on the list. “Mobilising by Cde Pravin”; “Irreparable breakdown of the relationship between the President and Former Finance Minister”; and “Sustained contestation over the ANC and Treasury” give insight to what was happening behind the scenes. The list also stipulates there is no change in fiscal policy – which raises the question, if Gordhan was implementing financial policy, why was he removed? “The ANC will convene a media briefing tomorrow, 5th April 2017 to give feedback to society and the media on the outcomes of the National Working Committee as confirmed earlier,” said Kodwa.